RestorationMaster provides quality disaster restoration and cleaning services to Dallas, Garland, Plano and the surrounding communities. Our staff have been trained and certified to provide quality restoration and cleaning services to provide our customers with the peace of mind they need. Water damage is a common occurrence throughout many homes and buildings and can be caused by several sources such as storms, flooding, leaks, and high humidity. 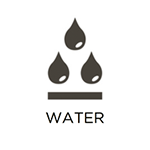 Building materials in your home can absorb water quickly, making it crucial to call for water restoration services as soon as the damage is discovered. RestorationMaster provides water damage restoration services in Dallas, TX area using a combination of dehumidifiers and air movers to remove the excess water. Our technicians follow the Advanced Structure Drying Guidelines and IICRC procedures for water damage restoration. Sewage and other forms of contaminated water have the potential to cause water damage on your property, as well as spread various diseases and infections. At RestorationMaster, we offer comprehensive sewage cleaning services in Dallas, TX to eliminate possible risks. We will address the main cause of the problem, restore salvageable materials and belongings, and return your property back to its original condition. Even in Dallas, TX, frozen pipes can become a major issue for property owners. 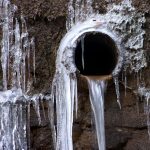 Particularly during winter months, the water within pipes can freeze and bulge, which leads to fissures in the pipe, and ultimately a full burst. When this occurs, your home or office space can become flooded with water, leading to extensive damage. At RestorationMaster, we offer a variety of tips to prevent your pipes from freezing, and can provide emergency restoration services to clean up and restore the water damage caused by a burst pipe. 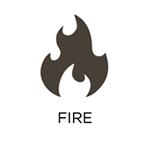 While there is no doubt that fires will cause devastation to a home or building, they can also be caused by a number of items, building materials, and appliances. The corrosive byproducts left behind by the fire can cause the damage to become permanent within hours which, making it crucial to immediately call for emergency services. 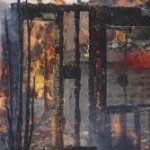 RestorationMaster provides fire damage restoration services to homes and buildings in the Dallas, TX area, reversing the effects of the damage and returning surfaces to their original condition. Each of our technicians has been trained, both in the classroom and on-site to apply advanced products to each affected surface. We will also work with your insurance adjuster to ensure a seamless process. Some home disasters, such as floods, fire, and mold growth will cause strong, unpleasant odors that linger in the house or building. While home remedies will only remove minor odors, others can be severely potent and will require professional products to be removed. RestorationMaster provides deodorization and smoke odor mitigation services to completely remove tough odors from your home or business in Dallas, TX. Our technicians are trained to use a range of odor removal methods such as absorption, Nano carbon, and ozone technology to remove odors left from smoke, fire, pets, dead animals, water, mold, and more. 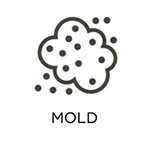 Mold has the potential to spread very quickly if it is not treated as soon as possible. While it usually thrives in hidden areas including: crawlspaces, behind walls, basements, attics, and bathrooms, its presence can make itself known very easily. By dispersing its spores within the air, they can be extremely dangerous if they are inhaled. In addition, the cellulose contained within drywall and wood create the perfect nest for mold to thrive. Combined with moisture, it will spread throughout the entire area and consume all nearby organic materials. However, RestorationMaster provides professional mold removal services in the Dallas, TX area to completely remove all cases of mold. Our advanced products and equipment will ensure that it is eliminated at the source and all at-risk areas are secured for the future. Finally, you can look forward to an improved indoor air quality as well as a clean property after the services are complete. The carpet is one of the most used furnishings in your property due to daily foot traffic. Its appearance can even have an affect on the rest of the room as it can deter guests and prospect clients if not maintained. RestorationMaster recommends an annual carpet cleaning as we would be more than happy to provide the service for you in the Dallas, TX area. Our technicians will use professional equipment as well as our hot water extraction method to remove deeply embedded soil from your carpet. Call us today for more information or a free estimate. Many homeowners choose tile surfaces for their kitchens and bathrooms because of their design, versatility, and durability. But over time, they will accumulate dirt and mildew that can diminish their appearance. But RestorationMaster provides effective tile and grout cleaning services for all residential properties in the Dallas, TX area. Our truck-mounted cleaning system will remove all deeply embedded dirt and debris. The damage from a natural disaster does not only affect your home and furnishings, it can devastate your personal belongings. While treatment is still possible to return them to their original conditions, it must be done immediately to avoid the devastation of dealing with the permanent damage. RestorationMaster provides content cleaning and pack-out services in Dallas, TX to restore personal items that have been damaged by fire, water, or mold. We can clean and restore content on-site or at our climate-controlled facility using professional pack-out services. Healthcare professionals know that patient care and satisfaction is an important principle of the industry. 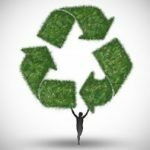 These facilities must be cleaned with these principles in mind, as well as an emphasis on infection control and sterilization within compliance of regulatory standards. RestorationMaster provides healthcare cleaning services in Dallas, TX to clean and sanitize medical offices and healthcare facilities in compliance with industry standards. Our technicians can create unique cleaning plans for each type of healthcare facility and we use hospital grade, EPA registered cleaning products to ensure that the facility is thoroughly cleaned and sanitized. When natural disasters and similarly damaging events occur on your property in Dallas, TX, it is important to get your building inspected and stabilized right away. If you fail to do so, it may sustain more damage over time. To prevent this from occurring, we provide complete site-stabilization, board up, and tarping services here at RestorationMaster. We offer 24/7 availability in the case of emergencies, and will respond swiftly and decisively to fortify structural elements, and cover any openings in your building. When a disaster significantly damages your building in Dallas, TX, it is important to take decisive action. At RestorationMaster, we provide comprehensive reconstruction services to get you back on your feet. With effective project management and the skills of talented technicians, we will work with you from initial site-stabilization work until the restoration project is complete. No matter the scale of the project, we can act as your sole point of contact, and ensure that the job gets done right. The value of keeping your office or operating space clean and presentable cannot be overstated. It can help you maintain and acquire business, increase employee production, and lengthen the operational life of your hard assets. At RestorationMaster, we provide comprehensive commercial cleaning services in Dallas, TX on a one-time or regularly scheduled basis to help you achieve these benefits. Wrapping up a construction project is a relief, especially if it has put a section of your home or building out of commission. While you may be eager to get the use of the space back, you must first ensure that the area is cleaned up and safe to use again. 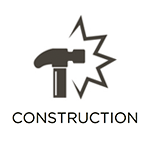 Construction crews leave behind dust and debris such as nails and screws that can make the area hazardous and they do not provide in-depth cleaning of the area. At RestorationMaster, we provide post construction cleaning services to clean and restore newly constructed areas for homes and commercial buildings in Dallas, TX. Our cleaning professionals will ensure that the area is free of dust and debris so it can be used safely again.